For the first hundred years or so of its history the theatre was primarily a playhouse; Letters Patent granted by Charles II had given Covent Garden and Drury Lane almost sole rights to present spoken drama in the capital. Rich himself was a famous Harlequin, appearing under the stage name of Lun. During his management he developed pantomime as an art form in its own right, and the tradition of Christmas pantomimes at Covent Garden survived until the 1930s. The last pantomime performed here was Francis Laidler's Little Red Riding Hood in December/January 1938/39. The first serious musical works to be heard at Covent Garden were the operas of Handel. From 1735 until his death in 1759 he gave regular seasons, and many of his operas and oratorios were written for Covent Garden or had their first London performances here. He bequeathed his organ to John Rich, and it was placed in a prominent position on the stage. Unfortunately it was among many valuable items lost in a fire that destroyed the theatre in 1808. Rebuilding began at once. The foundation stone, later incorporated in the present structure, was laid by the Prince of Wales, later George IV, on 31 December 1808, and the second Theatre Royal, Covent Garden opened on 18 September 1809 with a performance of Macbeth followed by a musical entertainment called The Quaker. The management, among them the actor John Philip Kemble and his sister Sarah Siddons, raised seat prices to help recoup the cost of rebuilding, but the move was so unpopular that audiences disrupted performances by beating sticks, hissing, booing and dancing.The O.P. (Old Prices) riots lasted nearly three months, and the management was finally forced to accede to the audience's demands. The audience's taste was extremely varied, and so were the entertainments offered. Opera and ballet did appear on the bill of fare, but not exclusively. An evening of excerpts from Shakespeare might well be followed by a performance on the high wire by Madame Sacchi, the Italian acrobat. Then, in 1843, the Theatres Act broke the patent theatres' monopoly of drama. At that time Her Majesty's Theatre in the Haymarket was the main centre of ballet and opera, but after a dispute with the management in 1846 Michael Costa, conductor at Her Majesty's, transferred his allegiance to Covent Garden, bringing most of his company of singers with him. The auditorium was completely remodelled to designs by Benedetto Albano, and the theatre reopened as the Royal Italian Opera on 6 April 1847 with a performance of Rossini's Semiramide. On 5 March 1856 disaster struck again. For the second time the theatre was completely destroyed by fire. Although rebuilding was felt to be imperative, financial considerations delayed matters. Work on the third and present theatre eventually started in 1857 and the new building opened on 15 May 1858 with a performance of Meyerbeer's Les Huguenots. The theatre became the Royal Opera House in 1892 as the number of French and German works in the repertory increased. Winter and summer seasons of opera and ballet were given. In between seasons the theatre either closed or offered such diverse fare as film shows, cabarets, lectures or dancing. During World War I the theatre was requisitioned by the Ministry of Works for use as a furniture repository. During World War II it became a Mecca Dance Hall. There was a possibility that it would remain a dance hall after the war but, following lengthy negotiations, the music publishers Boosey and Hawkes acquired the lease of the building. 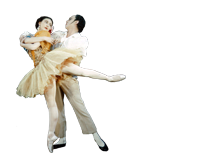 David Webster was appointed General Administrator and Ninette de Valois's Sadler's Wells Ballet was invited to become the resident ballet company. The initial policy for the newly formed Covent Garden Opera Company was to sing all works translated into English, to encourage native performers and to build a core repertory of English operas. The repertory of works in translation expanded steadily but it soon became apparent that not all the singers would be prepared to learn their roles in English. There was the additional difficulty of finding suitable translations and new works, and gradually the policy of opera in English was allowed to disappear. Rankl and his colleagues laid the groundwork for the Company, and successive Music Directors, conductors, directors, designers and performers ensured its rapid development into an opera company of accepted international standard. In 1968 the Covent Garden Opera Company became The Royal Opera, in recognition of the outstanding quality of its work. The Royal Opera continues as one of the major international opera companies of the world, under Music Director Antonio Pappano, appointed in 2002. When the Sadler’s Wells Ballet moved to Covent Garden, a smaller company was formed to continue offering performances of ballet at Sadler’s Wells Theatre. Originally known as the Sadler’s Wells Opera Ballet, as they also provided the dance elements for the Sadler’s Wells Opera, they soon became known as the Sadler’s Wells Theatre Ballet. In 1956 they were incorporated within the Royal Charter granted to the Sadler’s Wells Ballet company and School, and moved to the Royal Opera House and became The Royal Ballet Touring Company. In 1970 they became The Royal Ballet New Group, a smaller company giving performances of new and experimental works throughout the United Kingdom. The Company returned to Sadler’s Wells Theatre in 1976, becoming Sadler’s Wells Royal Ballet, until their most recent move to Birmingham in 1990. They are now known as Birmingham Royal Ballet, under Artistic Director David Bintley and, although a separate company, continue to perform some of the core repertory of their shared history. Whilst the companies continued to build on their success, the Royal Opera House itself was beginning to wear out. The stage machinery, the cramped backstage areas, the inadequate rehearsal spaces in particular for The Royal Ballet who mainly rehearsed at the Royal Ballet Upper School in Baron’s Court in West London, were making it difficult for the Royal Opera House to continue as a world-lass institution. In 1995 the Royal Opera House was granted one of the first awards by the newly created National Lottery and was at last able to make concrete plans for a redevelopment that had been put in motion back in 1984. Jeremy Dixon, Edward Jones and BDP (Building Design Partnership) were the appointed architects for an ambitious scheme to bring all the activities of the Royal Opera House onto the Covent Garden site, and to enable those activities to increase. The Royal Opera House closed in July 1997, and the Companies embarked on a series of tours, around other theatres in London, the UK and abroad, while the Covent Garden site was completely transformed. The auditorium and foyer spaces of the 1858 building were retained and lovingly restored to their former glory, while the remainder of the site was rebuilt to house state-of-the-art stage and backstage areas, a new fly-tower complete with computerised hanging and lighting systems, new dressing rooms, offices, rehearsal rooms and workshops. The front of house spaces were expanded to include a new bar and restaurant at amphitheatre level, the refurbished Paul Hamlyn (formerly Floral) Hall as a bar and circulating space, and new performance spaces in the Linbury Studio Theatre and Clore Studio Upstairs. The Royal Opera House reopened with a series of Gala performances celebrating the work of The Royal Ballet and The Royal Opera, followed by a new production of Falstaff for The Royal Opera, and a series of performances by The Royal Ballet that celebrated new work and the existing repertory. Deborah Bull was appointed Artistic Director of ROH2, to programme events in spaces other than the main auditorium and an vibrant and varied body of work has built up throughout the building, some provided by the Royal Opera House Education Department. The front of House spaces are open Monday to Saturday, from 10.00 to 15.30, and the Amphitheatre Café and Restaurant are open during those times. Free exhibitions around the building, and lunchtime events in the Paul Hamlyn Hall and Linbury Studio Theatre make the Royal Opera House an interesting and exciting place to visit.